Baker College is also featured in our ranking Top 25 Most Affordable Online Bachelor’s in Accounting. 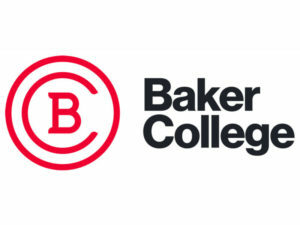 Baker College is a private, independent, nonprofit institution of higher learning based in Flint Township, Michigan, with various campuses throughout the state. It is the largest, independent, nonprofit college in the state, and tuition is its only source of income, as it does not receive federal or state funding. It offers programs for career fields that demonstrate the highest growth rates and these programs are shaped by leaders in the industry to make sure students graduate with the desired education and skills. Baker College offers more than 150 programs through the College of Business, College of Engineering, College of Health Science, College of Information Technology, College of Interdisciplinary Studies, College of Social Science, School of Nursing, Culinary Institute of Michigan, Auto Diesel Institute of Michigan, and Center for Graduate Studies. The programs are focused on student outcomes and instructors use holistic program assessment, research-based pedagogy, and various delivery methods. Since Baker College focuses solely on students, it invests in education and career resources, including new technologies and equipment, free tutoring, and lifetime employment assistance. It is also committed to supporting the surrounding communities and works to establish lasting relationships in all service areas. Baker College was founded in 1911 as Baker Business University. In 1965, Robert Jewell purchased Baker University and Muskegon College and joined them under one management group. In 1969, Muskegon College became a non-profit organization. In 1974, Baker Business University changed its name to Baker Junior College and in 1977 it became a nonprofit entity. In 1983, the Owosso extension was founded. In 1985, the college received regional accreditation and in 1986 it was authorized to grant a Bachelor of Business Administration degree and it changed its name to Baker College of Flint. In 1990, Baker acquired more locations to create the Baker College of Eastern Michigan and Muskegon College changed its name to Baker College of Muskegon. The Center for Graduate Studies opened in 1994. It began offering online classes in 1996. In 2001, the online enrollment was more than 4,000 students, making Baker a leader in distance education. It began offering doctoral degrees in 2007. Today, Baker College is home to more than 23,000 students at nine on-ground campuses, various extension campuses, and online. Baker College offers an online bachelor’s in accounting degree through the College of Business. The program is taught by professional accountants who have extensive experience in the industry. The program focuses on the theoretical aspects of accounting to prepare students for professional careers or advanced study. The program requires the completion of a total of 120 credit hours for completion. The major courses include accounting applications, intermediate accounting, payroll accounting, computerized accounting, individual taxation, cost accounting, business entities taxation, auditing, systems and controls, governmental accounting, advanced accounting, forensic accounting, and accounting work experiences. Students gain an understanding of the economic, legal, ethical, social, and regulatory business environment. They develop the necessary problem-solving, leadership, communication, and decision-making skills to succeed in a lively international marketplace. After completion of the program, students are eligible to take the Uniform Certified Public Accountant Examination in Michigan. The Higher Learning Commission of the North Central Association of Colleges and Schools accredits Baker College to grant associate, bachelor’s, master’s, and doctoral degrees as well as undergraduate and graduate certificates. Baker College prides itself on being the lowest-priced private institution of higher learning in the state of Michigan. It strives to make a college education as affordable as possible. Baker College offers various financial aid opportunities, including scholarships, grants, loans, and work-study. Students have the opportunity to work part-time to earn funds to pay for their college expenses. This program is federally funded and offered to students who demonstrate financial need. Students can work both on and off-campus and are typically paid on a bi-weekly basis. The pay is at least minimum wage but varies on the employer, job duties, and qualifications of individual students. Graduates of the program possess the essential problem-solving, communication, and leadership abilities to stand out in today’s workforce. Completing a bachelor’s degree in accounting from Baker College is the first step in an accounting career and it opens the doors for a variety of opportunities.